Thanks to the internet, non-profit organizations are able to expand their influence. A good cause can be exposed and attract donations just by having a WordPress website. To help you set up an online donation system for your foundation, we will be introducing the best 10 WordPress donation plugins. Why Donations and WordPress Go Hand in Hand? There are many reasons why WordPress is an excellent choice for your non-profit organization website, especially if you’re setting up donations. We’ll be explaining the points below so make sure to stick around and read through! If you’re planning to set up a charity website, you’d probably want to look for a platform that doesn’t need a big budget. Well, you’re in luck. With WordPress, you’ll be able to create a highly functioning website for free! 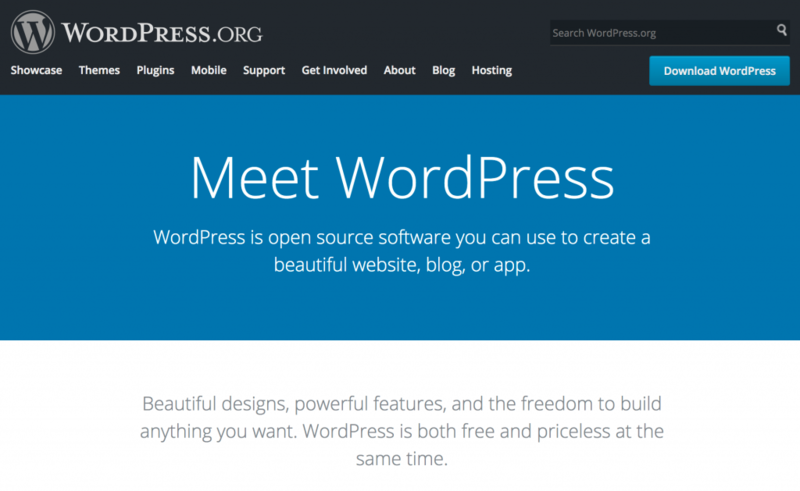 Since WordPress is an open source, you have the full control in running your site. You can customize and manage it however you want. Furthermore, WordPress intuitive dashboard is easy to navigate through. Did you know that WordPress has the biggest community support in the world? WordCamps have been organized in 65 countries and information regarding WordPress is available everywhere on the internet. Other than the WordPress forums, many websites, like Hostinger, regularly post WordPress tutorials. There are even Facebook groups that offer help such as WordPress and WordPress Help. We know how important low expenses are when running a charitable organization. The good news is that WordPress provides an immense amount of themes that are low-priced or even free! You can browse through the WordPress theme catalog and choose the one that fits your needs. If you need more information about free themes, we have listed the best for you. Another high point of using WordPress is that you can extend your site’s functionality and customization by installing plugins. The wide range of plugins that WordPress offers, makes it easier for users to add features that they need without having to learn coding. In a previous article, we’ve listed the best basic plugins that are needed for a website. However, for a non-profit organization, your site will require a WordPress donation plugin. This is what we’ll be covering in a moment. But before we get to that, there are a few essentials that should be considered when building a fundraising website. So what else do you need? Keep on reading! WordPress (CMS) ‒ installing WordPress at Hostinger’s control panel only takes one click. Affordable Hosting ‒ Hostinger is a great way to get a fast, reliable and most of all, affordable hosting. A Domain name ‒ your domain name represents your brand or organization, therefore choosing a memorable domain is crucial. You will get a free domain with our premium hosting plans. A Theme that represents You well ‒ search for themes that will work for charity sites and install the one you like best. A WordPress donation plugin ‒ we will discuss them down below. Payment gateway ‒ a safe and secure system to collect donations on your site. You can set up a payment gateway through the WooCommerce plugin or the donation plugins. If you already have a PayPal account, then you can collect donations straight away by using this WordPress donation plugin. PayPal Donations is very easy to use, and you can download it for free. Since it’s a well-known and trusted brand, people won’t have to think twice to donate. The plugin adds a PayPal widget and a shortcode that you can place anywhere on your WordPress site. Moreover, linking your PayPal account through the options menu doesn’t take a minute. PayPal Donations also gives you the option to choose the donation buttons that they’ve designed, or you can create your own. Plus it has been translated into 15 languages so you won’t have to install a translation plugin. WooCommerce Donation is perfect if your charity website also sells merchandise and is already using WooCommerce. However, to download the regular license of the plugin, you need to pay a one-time fee of $19. By using this WordPress donation plugin, the donation appears as a regular product which can be added into the shopping cart. But, people won’t get an actual item when they pay for it. You will also get reports where you can see how much donations you’re receiving. In addition to that, you can add a donation field in the shopping cart itself. This feature subtly urges customers to donate on top of what they’re buying. It can consist of a blank field where people can type in their own amount or a drop-down menu where the donations are predefined. If you’re looking for a WordPress donation plugin that can create a powerful fundraising platform, then Charitable is for you. It’s very easy to use that you can launch your first campaign in less than 5 minutes. The core plugin is free to download, and the premium packages range from $19 to $249 per year. The good side of charitable is that it doesn’t charge any transaction fees for the donations you receive. Unlimited campaigns ‒ set up as many fundraising campaigns and customize them to your needs. Customizable donation forms ‒ edit your donation forms in any way you want, from the required fields, donation amounts, to where you want the forms to load. Customizable emails ‒ create automated and offline donation receipts, and enable notifications when a campaign ends or when people donate. Paypal and offline donations ‒ link your PayPal account and tailor your offline payment instructions. Other payment gateways are also available as paid add-ons. Donation management ‒ you can create, edit, sort, and search donations in the dashboard, or export donation reports as CSV files. Being a non-profit organization that is dependant on donations, the way you treat your donors is very important. With Give, contributors can directly donate on your website without having to go through a complicated process. Give’s core plugin is free to use, and you are then given the option to purchase add-ons to extend the plugin’s functionality. The heart of Give will be its powerful donation forms. They are easy to create, and the customization options are plenty. Its full-featured reporting is beneficial for measuring multiple campaign performance, data control, and overviewing your donation activities. Give also has complete donor management where you can view your donors’ history and generate tax-deductible receipts for them. If you accept cryptocurrencies for donations, then this plugin will be useful. The Cryptocurrency Donation Box supports more than 20 crypto coins such as Bitcoin, Litecoin, Ethereum, etc. The plugin is free, and it’s definitely easy to use. This smart tool lets you convert your coin payment address into a QR code, without you needing to learn any programming language. You can then place the shortcode anywhere you like, the sidebar, on a page, or post. The box design is also clean and elegant, making it able to blend into any theme. What’s more, the crypto plugin is responsive and mobile friendly. Stripe is a payment gateway just like PayPal, and if you already have a Stripe account, then why not give this plugin a go. Direct Stripe is a free plugin for WordPress sites that let you take Stripe payments, donations, and subscriptions. The plugin enables you to add customizable Stripe payment buttons and donation forms to your charity website. Visitors can drop donations without leaving your site. Emails to admin and users can be sent automatically for every successful or failed donation. You can also set up landing pages and edit the success or error text for transaction processes. The General Data Protection Regulation (GDPR) and the Terms and Conditions Checkboxes are also available. With YITH Donations, you can set up a donation system on your website without technical support. If your non-profit organization sells merchandise and your site is already using WooCommerce, then this plugin is a great extension. This WordPress donation plugin lets you add donation forms in the products page and make it mandatory. Then you can immediately identify the orders with the donations on the Report tab. You can also offer different payment options to your donors, either offline transactions or online. Another strategic way to get donations from your buyers with this plugin is to put a donation form in the cart. You can pre-set the amounts or let the customers type in a custom amount. You’ll also be able to show how much you’ve collected with a little Thank You note through a widget that can be placed on the sidebar of your website. The Seamless Donations plugin is so easy to use that you can accept donations through your PayPal account within five minutes from downloading. The core plugin is free, but you can buy add-ons and extensions if needed. What’s great about this donation plugin is that you don’t need an add-on to enable the automatic recurring donations. It also has tools for tracking donors and donations. And besides that, you can show your appreciation to your donors with customized Thank You emails. This WordPress donation plugin doesn’t charge transaction fees either as it makes money from add-on sales. It also supports dozens of currencies and translations. Plus the plugin developers provide lots of support from FAQ, documents, to video tutorials. If you want to receive donations with iDEAL without facing complex plugins and integrations, then Paytium is your choice. You can create a simple donation form and get payments running within 15 minutes. What’s more, it’s a free donation plugin. You can also accept donations from other payment methods such as PayPal, credit cards, SOFORT, etc. For the full list of payments, you can view them at Mollie. Paytium also supports repeating payments so you can simply set up a subscription. The amount of contribution forms you can create with thtis WordPress donation plugin is unlimited and you can set different donation amounts for each one. Whether you want buttons with a fixed number, a dropdown list with a few options, or a text field where donors can type any amount they want. Just like the name suggests, this plugin is an easy tool to use if you want to accept PayPal donations. This WordPress donation plugin enables you to create PayPal payment buttons and embed it anywhere on your website using a shortcode. The buttons can be text or image-based and they’re customizable. You can arrange which currency you want to use when accepting donations. Plus, the country code can be set as well so that users can use a certain language on the PayPal checkout page. This donation plugin also has the ability to open the donation form on a new browser tab or window. Or, you can set up a specific page that donors can return to after submitting their donation. Collecting donations for a good cause can’t get any easier online, especially when you have a WordPress website. Not only you can budget down the expenses, but you can also add extra functionality to your site by installing plugins. We’ve just discussed the 10 best WordPress donation plugins that are very useful for your charity campaign website. Give and Charitable are two of the most powerful free donation plugins out there. PayPal users can install the PayPal Donations plugin or the WP Easy Paypal Payment Accept and start accepting donations straight away. While merchandise sellers will find YITH Donations and WooCommerce Donation useful. WordPress is always ready to help you spread a good cause, so why not start now? Ratna is an aspiring content writer at Hostinger. Her passion and pursuit of creating quality content have made her an all-time student, thirsty for knowledge. With her experience in Big Data and SEO, she is ever-ready to share. In her spare time, Ratna likes to read a good book or resume her cross-stitch project.